Many thanks to Vic for passing on information regarding a new post on his Blog regarding his Father, Bob Jay, who was Flight Engineer with Bill Mallon and Eric Butler. The post is entitled ‘Some of Bob’s stories’ and judging by the pictures above, you might get an idea of what these tales relate to! This entry was posted in general and tagged 1945, 75(NZ) Squadron RAF, Aviation, Bomber Command, Charles Frederick Green, D Cook, D Eynstone, Eric Frank Butler, Frank Symes, James Randel Haworth, Kenneth Ralp Philip, Lancelot Osgood Waugh, Mepal, Robert Alfred Jay, William 'Bill' Mallon, World War 2 on October 5, 2015 by 75nzsquadron. Another update from Vic regarding his blog about his Father. This latest post concerns recollections of one of the crew’s post war flights on what has come to be known as a ‘Baedeker’ Op. If anybody has a definitive explanation for why these trips out over the bombed cities of Germany were given this name I’d be interested to hear from you, though I suspect there a certain tinge of irony in their naming. After the bombing of Lubeck in March 1942, the German leadership, outraged by the attack decided to mount a series of Vergeltungsangriffe, or “retaliatory attacks” on British cities. So as I mentioned, I am not sure whether the use of ‘Baedeker’ was an official or unofficial description for these Ops – certainly looking at the logbooks from the Squadron during this period, Baedeker is mixed with ‘Viewing the Effects of Bombing’, so it might even have been a personal description of individual airman – thinking back I am pretty sure that Baedeker is not used in the Form 540 or 541 of the Squadron’s Operational Record Books. Perhaps this is all slightly further complicated by the fact that Jim Haworth notes in his letters home that initially these Ops were called ‘Cook’s Tours’ and that after the first one the crew flew on ‘Yesterday, Tuesday, we were lucky enough to get our turn on one of the Cook’s Tours or Baedeker trips as they are now called’………..
Read Vic’s new post on the Baedeker Op of 4th June 1945 here. 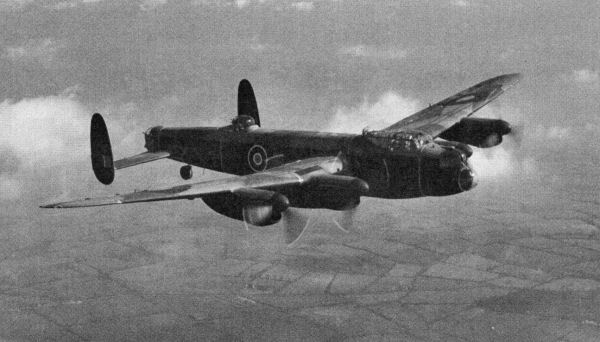 This entry was posted in general and tagged 1945, 75(NZ) Squadron RAF, Aviation, Baedeker, Bomber Command, Charles Frederick Green, D Cook, D Eynstone, Eric Frank Butler, Frank Symes, James Randel Haworth, Kenneth Ralp Philip, Lancelot Osgood Waugh, Mepal, Robert Alfred Jay, William 'Bill' Mallon, World War 2 on December 2, 2013 by 75nzsquadron. 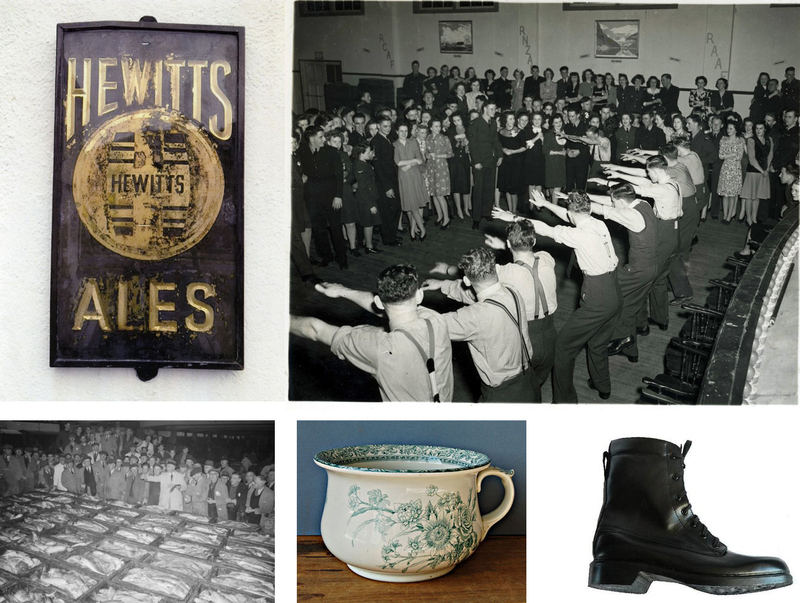 About a month ago I posted an update to Vic Jays blog ‘Bob Jay’s War’, regarding Vic’s presentation of letters from his Fathers Navigator Jim Haworth. Jim wrote numerous letters to his wife, Sally, while he was overseas. They contain lots of fascinating information that fills in some of the gaps in his crews story and gives an insight into life with the air force during and shortly after the war and the importance of humour in difficult times! At 34 Jim was the oldest member of the crew and the only one with children. He had two daughters before the war and had only spent 6 weeks with the younger, Maryann. He was away from home for the next three years and this helps to explain the home sickness that is evident in almost everything he wrote. As is always the case when these sort of documents come to light, an astonishing secondary level of information can be added to the ‘cold’ details that are present within the official history within Forms 540 and 541 of the Squadron Operational Record Books. My massive thanks goes to Ruth, Jim’s daughter, via Vic for passing on a significant portion of transcribed copies of Jim’s letters for display on the blog. This entry was posted in general and tagged 1945, 75(NZ) Squadron RAF, Aviation, Bomber Command, Charles Frederick Green, D Cook, D Eynstone, Eric Frank Butler, Frank Symes, James Randel Haworth, Kenneth Ralp Philip, Lancelot Osgood Waugh, Mepal, Robert Alfred Jay, William 'Bill' Mallon, World War 2 on November 17, 2013 by 75nzsquadron. Thanks to Vic for letting me know he has added some more posts to his blog about his Father, Bob Jay. The first adds some more of Jim Haworth’s letters home after the war in Europe has ended and clearly shows the unease and frustration (certainly in Jim’s mind) regarding the departure of some of the Squadrons aircrew of other nationalities and the possible roles the New Zealand crews might be facing in the Far East. The second post explores Eric Butler’s arrival as skipper with the crew after the departure of their original Pilot, Bill Mallon, on compassionate grounds. I continue to be impressed by the dogged determination that Vic is showing with his blog – the level of detail is now amazing regarding the story of his Father’s crew and it really seems, despite Vic’s frustration regarding finding information on the other members of the crew, that the pieces of the jigsaw are really beginning to ‘fall into place’. I’d love to think that eventually I might be able to do the same for Dad’s 2 crews and their stays with the Squadron – though I think it might take considerably longer to achieve. Read Vic’s 2 new posts here. 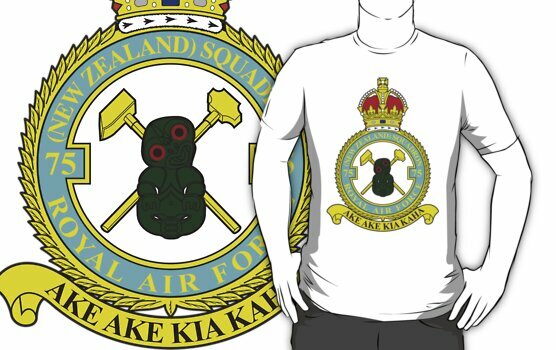 Thanks to Vic for letting me know of an update to his blog, about his Father’s tour with 75(NZ) Squadron. The latest addition is based on letters written by Bob’s Navigator, Jim Haworth to his wife Sally, back in New Zealand. 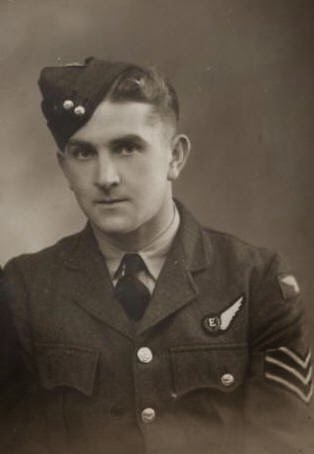 Much like the addition of the notes written by John Bell that I was able to add to a previous post on the Gordon crew, Jim’s letters provide not only a fascinating insight into the day to day events of operational airmen, but also add interesting detail to the historical record of the Squadron. On meeting Bob and the being so far from home…….. This entry was posted in general and tagged 1945, 75(NZ) Squadron RAF, Aviation, Bomber Command, Charles Frederick Green, D Cook, D Eynstone, Eric Frank Butler, Frank Symes, James Randel Haworth, Kenneth Ralp Philip, Lancelot Osgood Waugh, Mepal, Robert Alfred Jay, William 'Bill' Mallon, World War 2 on October 20, 2013 by 75nzsquadron. Bob Jay’s War – some updates. Just got a mail from Vic, letting me know he has just put up some more information about his fathers crew on his blog. He has added some information about the Milsom crew regarding the movement of Lance Waugh to Bob’s crew (re my last post) and also added information about the closing stages of the war from the perspective of the Squadron. Vic also tells me that he and his wife visited Scartho Road cemetery in Grimsby recently, on the 39th anniversary of Bob’s passing and payed their respects to Alex and David, 2 New Zealanders from the Squadron who now rest there, so many miles away from home. Read an earlier post of mine about David Nola and Alec Coutts here. This entry was posted in general and tagged 1945, 75(NZ) Squadron RAF, Aviation, Bomber Command, Charles Frederick Green, D Cook, D Eynstone, Eric Frank Butler, Frank Symes, James Randel Haworth, Kenneth Ralp Philip, Lancelot Osgood Waugh, Mepal, Robert Alfred Jay, William 'Bill' Mallon, World War 2 on September 8, 2013 by 75nzsquadron.